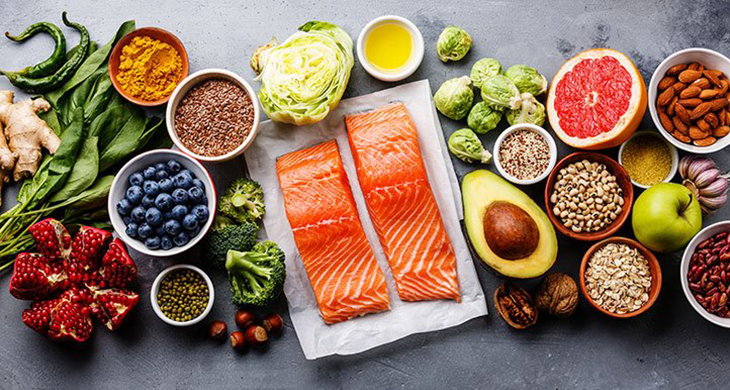 Back in 2013, a study published in the New England Journal of Medicine drew wide media attention when the findings revealed that eating a Mediterranean diet provided numerous longevity benefits. Now, here we are in 2018. Guess what? The journal retracted the study on June 13 due to problems with the way the study was conducted. The study previously found that a Mediterranean diet supplemented with olive oil reduced the likelihood of having a heart attack, stroke, or dying from cardiovascular-related causes by 30%, compared to consuming a low-fat diet. It also showed that people who ate a Mediterranean diet supplemented with mixed nuts had a 28% lower risk than those who followed a low-fat diet. Medical journals rarely retract studies. In fact, fewer than 1 in 1,000 published articles get yanked, though the number of retracted studies is increasing. The authors of the original study are replacing it with a corrected version, showing that people following a Mediterranean diet had a similarly-reduced level of heart attacks and strokes. They also softened the language about the conclusions a bit. The revised report states that people who ate a Mediterranean diet did, indeed, have fewer heart attacks and strokes, but contrary to the original report’s conclusion, a Mediterranean diet was not the direct cause of the reduced cardiovascular risks. Though that doesn’t mean a Mediterranean diet isn’t good for you, says David Allison, dean of the School of Public Health at Indiana University. You can thank British anesthesiologist John Carlisle for the retraction. Up until a few years ago, Carlisle didn’t know much about analyzing the details behind clinical trials. That’s when he wrote a letter to an anesthesiology journal to complain that his field was contaminated by one researcher’s data which many believed to be problematic. The journal editor told Carlisle to prove it, so he set out to do just that. He educated himself on statistical methods and poured over more than 160 trials by the researcher, Dr. Yoshitaka Fujii, and analyzed how likely it was that the people had been randomized to different treatments. Randomization is important in a clinical trial because it reduces the risk of bias and allows researchers to determine causality. Carlisle wasn’t buying it that Fujii had randomized people properly. Since Carlisle’s findings were published in 2012, more than 160 of Fujii’s papers have been retracted. That’s the most retractions for any one researcher, by a large margin, according to Retraction Watch. Steeped in newly-found confidence, Carlisle spent 2 years applying his sleuthing method to thousands of clinical trials published in 8 medical journals. In 2017, he reported that approximately 2% showed signs of problems. Carlisle reviewed more than 5,000 clinical trials, 934 of which were published by the New England Journal of Medicine. Carlisle flagged 11, including the 2013 study showing the Mediterranean diet was responsible for reducing heart attacks and strokes. The journal decided to retract the 2013 study because when the study’s lead author, Dr. Miguel Ángel Martínez González of the University of Navarra Medical School, took a gander at Carlisle’s analysis, he conducted a detailed audit of the study, and problems quickly emerged. Of the more than 7,400 participants enrolled in the study, 14% hadn’t been assigned randomly to either the Mediterranean diet or a low-fat one. Couples who joined the study were assigned to eat the same diet. And at one of the 11 study sites, the lead researcher had assigned the same diet to an entire village and didn’t bother to inform the rest of the investigative team. Martínez González said the study’s flawed design only affected a small part of the trial. After reanalyzing the data excluding the nonrandomized people, the results were the same, but the damage is done. The study can no longer claim that the Mediterranean diet was the direct cause of fewer heart attacks, strokes, and cardiovascular deaths. The revelation tarnishes the reputations of medical journals and researchers to a small extent, which is disheartening, but it does not change the fact that the Mediterranean diet is associated with better heart health.